In October 1875 an appeal was launched for the first cabmen’s shelter in St Giles, and a committee was formed in December that year with the aim of making the shelter “worthy of the place which it is to occupy”. 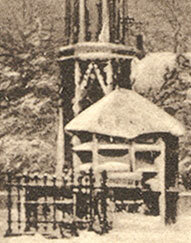 The shelter (built by Brucker of St John’s Road at a cost of £70) was opened on 18 April 1876. It was a wooden structure on wheels, very similar in style to the Broad Street shelter that was to be erected around the corner nine years later. By 1889, the Cab Stand at St Giles was listed as a telephone subscriber with the number Oxford 58, and presumably the telephone was inside this shelter. 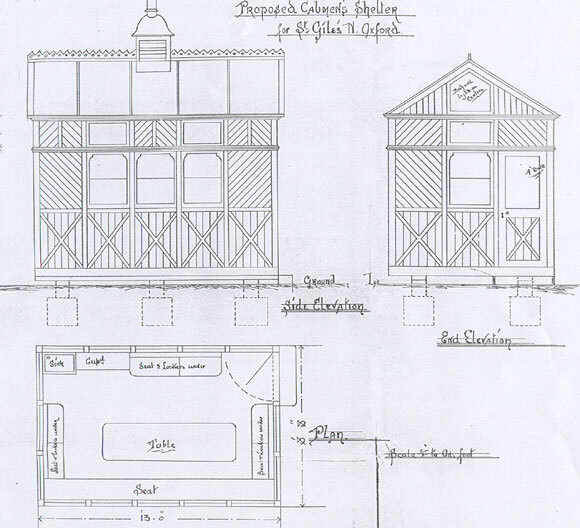 In November 1895 plans were submitted by S. Hutchins for an additional shelter to be sited at the north end of St Giles.This second shelter originally had a table in the middle, seats and lockers around the sides, running water and a sink, but no lavatories. The architect’s plans are shown below. In 1907, this second shelter still stood in the middle of the road to the south of St Giles Church, and was used as a temporary police station during St Giles’ Fair in Edwardian times. This second shelter (left in 2004 when it was unoccupied and below in 2005) still survives. 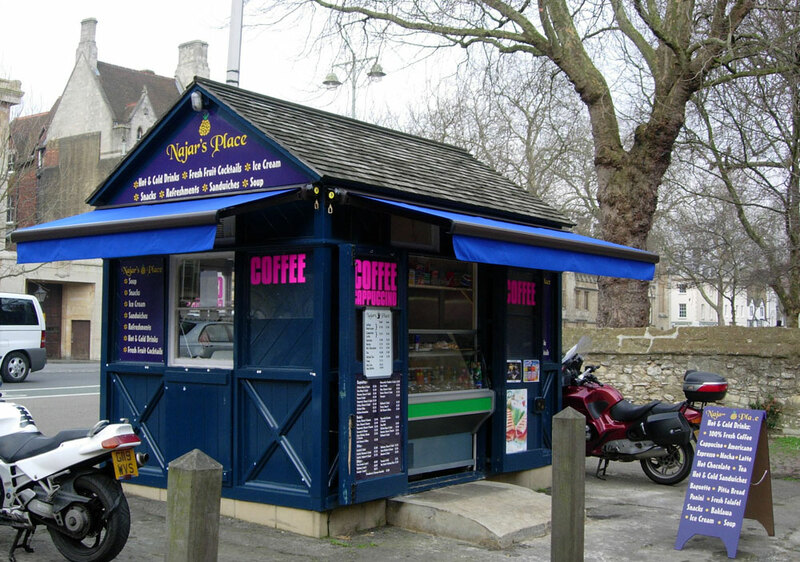 From 1996 it was rented from Oxford City Council by the Oxford Rickshaw Company as its booking office and operations base. When that company went into liquidation in 1998, it was taken on by Jem-i-ni Flowers, who converted it into a flower shop with toilet facilities; the renovation, which cost £20,000, won an Oxford Preservation Trust award. It was then used as a souvenir shop. Since summer 2004 it has been a refreshment hut called Najar’s Place.